How the Indians living along the Ouachita River during the pre-Columbian era found food from their environment. As part of the Jones Mill Archeological Project, the research is very specific: identifying plant and animal remains from archeological excavations at the Jones Mill site in Hot Spring County, Arkansas. View of the Ouachita River. But our results provide a broader understanding of how people lived in this region and how they changed through time. Middle Archaic period (6000-4300 B.C. ): Nut collecting was prominent during this period at the Jones Mill site. Many fragments of burned hickory nutshell were found. 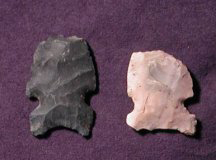 Based on the artifacts, Archaic period Indians also hunted and fished. It is not clear whether people had established year-round base camps or lived at several locations in a seasonal rotation. They were here during the fall-winter at least, and may have returned during the spring-summer to catch fish with nets. Mississippian period (circa A.D. 1450): Caddo Indians lived in a stable farming community at Jones Mill by this time, growing maize and native starchy seeds, collecting nuts, hunting, and fishing. Compared to the Middle Archaic period, we recovered a wider variety of plants and animals in the trash left in and near a Caddo house. By this time, Indians lived at the Jones Mill site year-round. Archeological excavations at the Jones Mill site in 2007 and 2008 uncovered the remains of a series of camps and villages left by Indians who lived along the Ouachita River from at least 6000 B.C. to A.D. 1450. We can interpret ancient foodways from looking at plant and animal remains collected during the Jones Mill site excavations, and by examining the tools and artifacts used to get and process food. The term ‘foodways’ refers to diet, as well as how communities interacted with one another and with their environments to schedule food-getting activities throughout the year. With a grant from the Arkansas Humanities Council and the Department of Arkansas Heritage, we have been able to get specialized analyses of plants and animals from archeological excavations at Jones Mill. 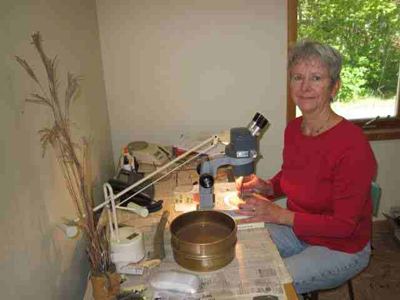 Ms. Kathryn Parker (Archaeobotany, Indian River, Michigan) served as archeobotanical consultant and Dr. Lucretia Kelly (Washington University—St. Louis and University of Missouri-St. Louis) was the zooarcheological specialist. 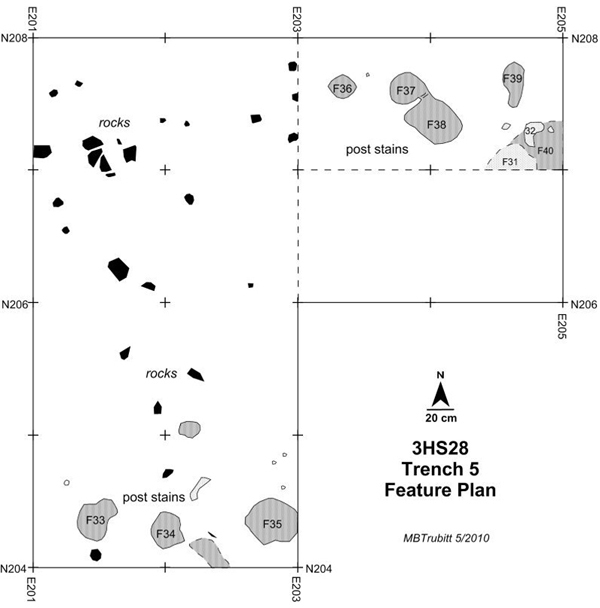 The key contexts contrasted by Parker and Kelly were the Middle Archaic “Stratum III” from Trenches 3-4 and the Mississippian or Caddo building and associated trash deposit in Trench 5. When Kathryn Parker analyzed plant remains from Stratum III soil samples at Jones Mill, she found that nut shell was the dominant category. Most of the nut shell was from thick-shelled hickory nut (Carya sp. 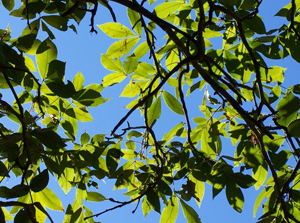 ), with the remainder identifiable only to the hickory/walnut family. Nuts would be collected in the fall, but could be stored for later use. 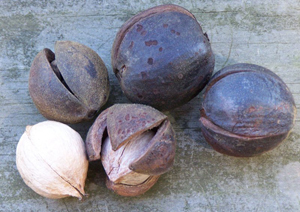 Hickory nuts would have been processed in bulk, pounded and sieved or boiled to separate nutmeat from shell and extract the nutritious nut oils. Parker identified oak, Osage orange, hickory, and hackberry/sugarberry among the wood fragments from Stratum III. These would have been used as fuel by Indians living here in the Archaic period. Dart points used as projectile tips. Only a few small fragments of burned animal bone and a small piece of freshwater mussel shell were found in the Middle Archaic Stratum III. These could not be identified as to species. We are left with two inferences. The novaculite points indicate hunting of game. 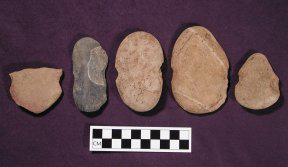 The notched pebble weights indicate net fishing in the Ouachita River nearby. 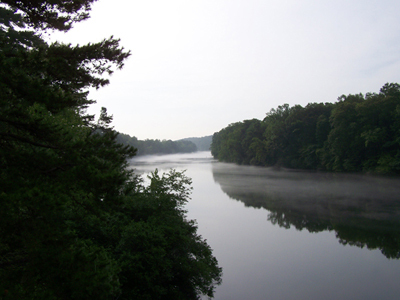 With rich resources like hickory nuts, deer, and fish and mussels available nearby, Middle Archaic collectors-hunters-fishers may have camped near the Ouachita River at Jones Mill not only in fall-winter but also in spring-summer. Lucretia Kelly examined animal bone and shell from Trench 5 excavations. White-tailed deer was most numerous among the mammals. Tree squirrel and possibly skunk were present. Only one piece was identified as turkey. Fish (catfish family, sunfish) were eaten, and turtles (softshell turtle, box turtle) and amphibian remains (frog/toad family) were identified based on animal bone. Freshwater mussel shell included valves identified as threeridge, spike, mucket, and black sandshell. One had a hole for a handle and was probably used as a hoe blade by Caddo farmers. Deer and turkey are in their prime in late fall/early winter but could have been hunted year-round. Catfish, sunfish, softshell turtles, and freshwater mussels were probably taken from the nearby Ouachita River during warmer months. Ethnobotanist at work: Kathryn Parker in lab (photo courtesy K. Parker). Kathryn Parker found nut shell, wood fragments, maize, and seeds in the charred plant remains from Trench 5. Most of the nut shell was hickory, but acorns and pecans were eaten as well. Wood for fuel included oak, hickory, shortleaf pine, Eastern red cedar, hackberry/sugarberry, sycamore, Osage orange, and elm. Maize was an important crop for the Caddo Indians living at Jones Mill circa A.D. 1450. Maize (Zea mays) was identified in 8 of the 11 post features examined from Trench 5. Both edible kernels as well as part of ears like cupules, glumes, and cob fragments were found. Kathryn Parker also identified seeds — little barley, erect knotweed, maygrass, and lambs quarters—that are a few of the ancient native crops cultivated by Indians in Arkansas and the Midwestern U.S. as early as 2000 B.C. These plants were grown for their nutritious starchy seeds. Soil stains uncovered in Trench 5 show where wooden posts once stood. This is part of a building built by Caddo Indians living here. 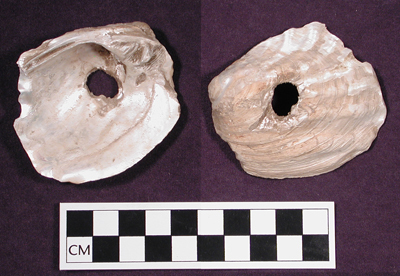 Beta Analytic, Inc., dated hickory nut shell fragments from F-35 (using the accelerator mass spectrometry technique) and determined an age of 470 +/- 40 years before present. This date calibrates to A.D. 1410-1460. What did Caddo houses look like and how were they built? Click here to learn more. Research at the Jones Mill site involved archeological excavations that were part of training programs coordinated by the Arkansas Archeological Survey and the Arkansas Archeological Society, and anthropology courses offered through Henderson State University and the University of Arkansas. Over 175 volunteers – Society members and college students – participated in excavations. For more information on Survey/Society training digs, click here. Thanks to Kathryn Parker, Lucretia Kelly, and Darden Hood for their specialized analyses of Jones Mill plant, animal, and radiocarbon samples, and to Richard Welch, Marvin Schultz, Phil Cross, and George Sabo III for their help in creating this webpage. Funding for additional analyses came from the Arkansas Archeological Society’s Archeological Research Fund. Thanks also to Sherrie Shepherd for creation of the Jones Mill Archeological Project logo.